Californian brand, Yes To are launching a new line of products - Yes to Grapefruit which has been created to reduce the appearance of dark spots and make your skin more brighter and glowing. 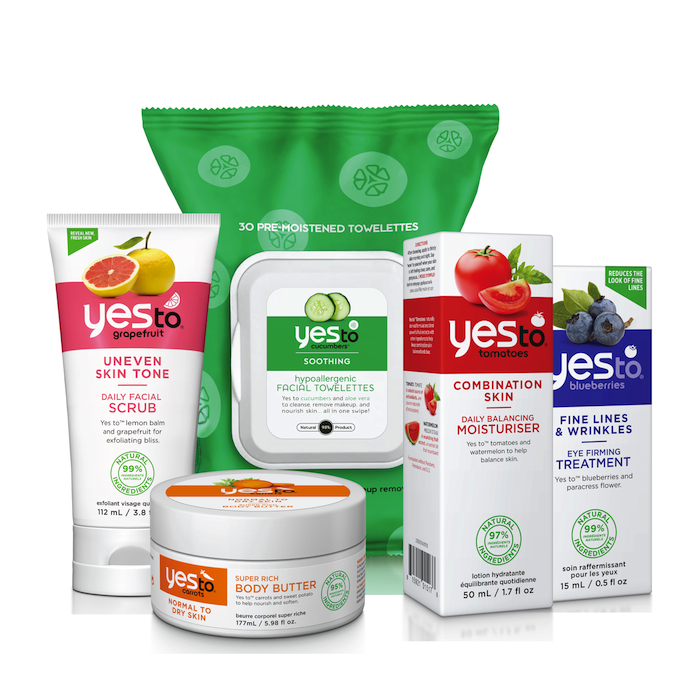 Yes To is an award winning skincare brand which contains ranges such as Yes To Carrots, Yes To Tomatoes, Yes To Blueberries and Yes To Cucumbers. Each collection is designed to tackle a specific issue that affects your hair or skin. All of the products are 95% natural, free of parabens, petroleum, phthalates and SLS, and made with recyclable materials. Currently stocked in Waitross, Whole Foods, Planet Organic, asos, Holland and Barrets and TK Maxx, you will be able to purchase the brand in Boots on Monday 7th April. Products to look out for are the Carrot Exfoliating Cleanser, Cucumber Soothing Eye Gel, Cucumber Facial Wipes and Carrots Super Rich Body Butter which is apparently loved by Michelle Obama. Well if it's good enough for the First Lady of Colour then it is good enough for us.More importantly Yes To is very affordable ranging from £3.99 to £14.99. For more information about Yes To just go to their website.